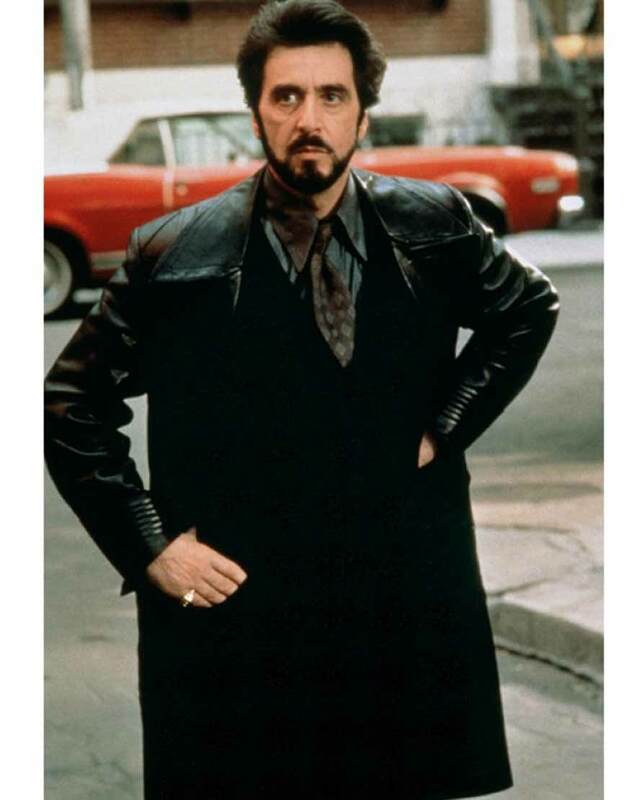 This superb outfit is taken from a direct representation of an old classic movie ‘Carlitos Way’, worn by character Al Pacino in the movie. 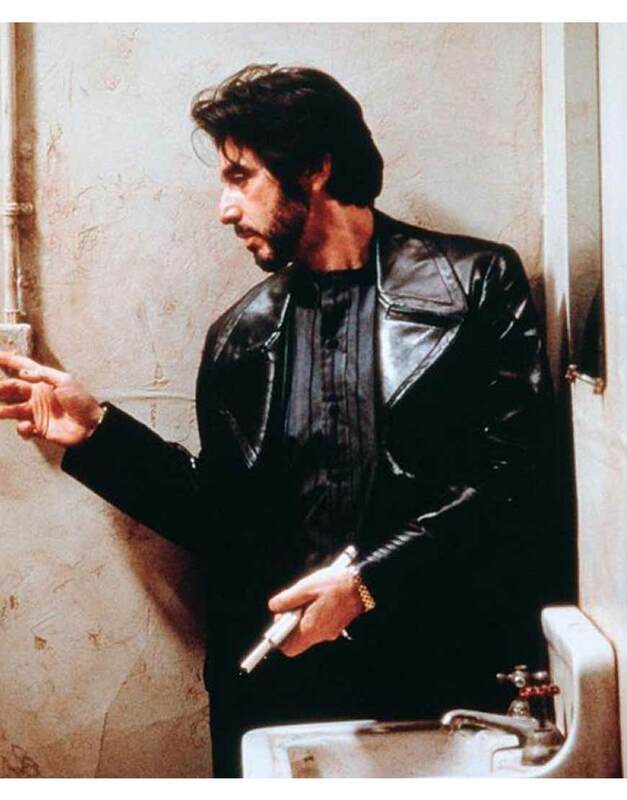 This Carlito Brigante Leather Jacket was one of the signature outwear of the movie as it defined the solidity of the character by its bold and sturdy looks. 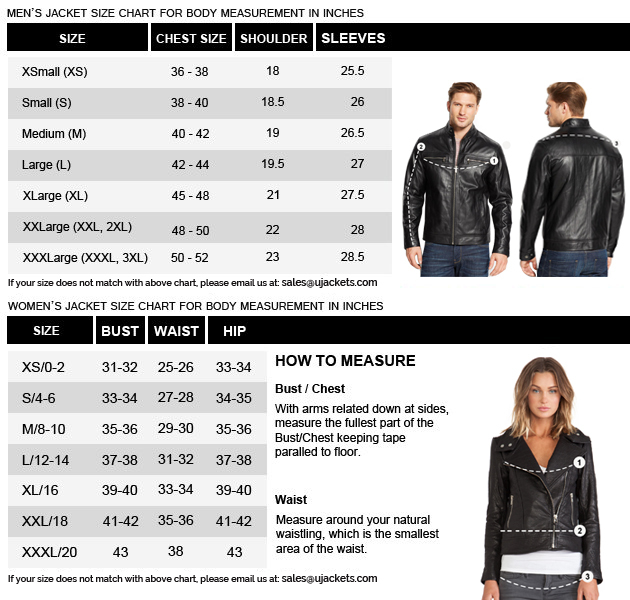 It is precisely manufactured from the pure genuine leather material with durably warm viscose lining inside giving it a comfortable touch. 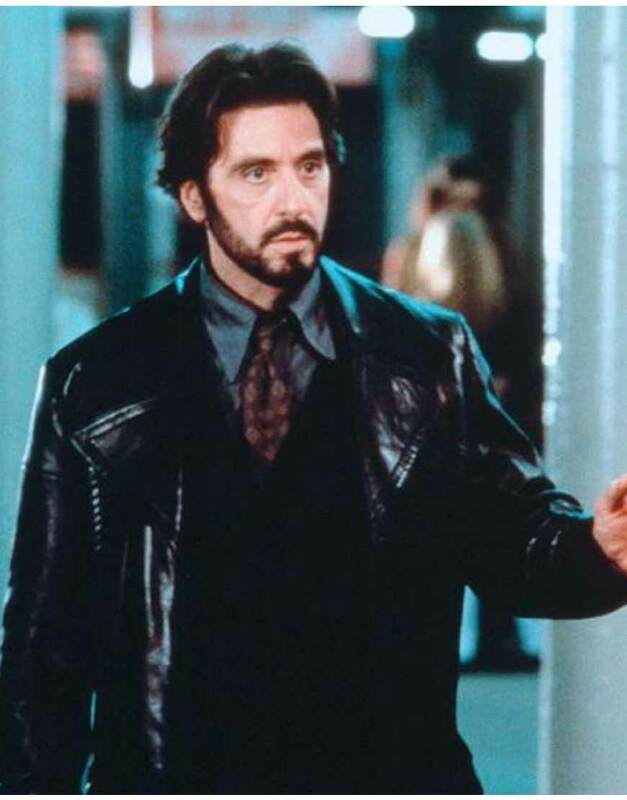 This Carlito Brigante Leather Jacket has a retro styled lapel collar with full buttoned closure defining the class of the apparel in different way. It has decently inflated full length sleeves with buttoned cuffs sewed with fine and neat stitching. While the attire is available in exotic black color showing its true class.